Most of western Europe just started its annual fall school holiday week, during which the All Saints day serves to visit gravestones and remember those that have passed. Many families use the week to escape for the last time towards the warmer Southern European destinations and as such, the central Brussels airport has become a favorite to pass through as it is the European hub of low-cost airlines like Ryanair and Easyjet. However, as Ryanair last week decided to end it’s looming strike threat for the Christmas holiday season in Europe by agreeing to give better terms to its employees working in the Low Countries, Germany, the UK and France, the baggage handlers at Brussels airport got ideas. For the past five days, they’ve gone on strike, stranding many families in airports all over Western Europe and canceling hundreds of intra-European flights on a daily basis. 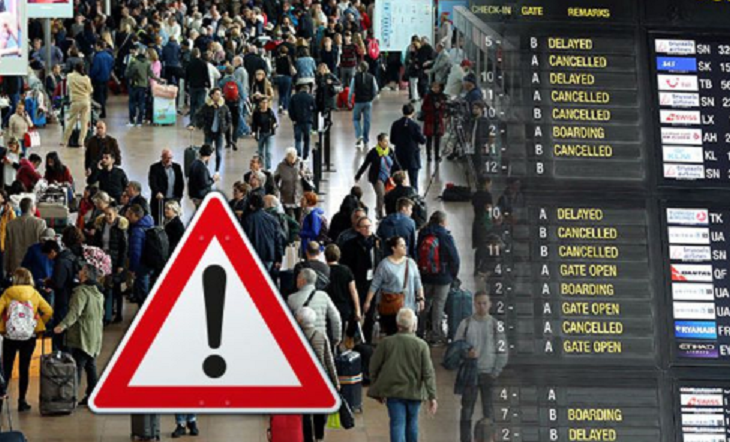 29 airlines across Europe are affected. They include Aer Lingus, British Airways, El Al, Ethiopian Airlines, Etihad Airways, FlyEgypt, Royal Air Maroc, Ryanair and Turkish Airlines. Tens of thousands of airline passengers have been affected by the ongoing baggage handlers' strike employed by Aviapartner. As it now eats away at families’ paid holidays, many are starting to show signs of frustration as they are unsure whether to book another flight or just wait it out. “Trust between the management and the unions has completely disappeared after this weekend,” the head of Aviapartner Group, Mr Laurent Levaux, declared. Every day about 20% of all flights is canceled and the authorities have now started to set up sleeping quarters in the terminal for the many affected. Furthermore, those hoping to return home also see their flights canceled or their luggage not taken from their departure airport, creating a wholesome mess. The strike is due to continue until Tuesday at the very least if negotiators reach an agreement today. Whoopee Brussels has a problem.